Have you ever seen a person who has entered into the world of rhythm, twirl and hop from the world of product, customers and sales? Well, here is an interesting story of Prithviraj who has evolved as one of the leading dancers in Hyderabad. On a frenzy day, with the pillows of clouds gathering up in the sky and winds murmuring about the upcoming storm I pushed myself to travel for more than an hour to finally reach the point of disembarkation. I entered the place with quite a lot of inhibitions in my mind but was received warmly by a sanguine and convivial person who has won many accolades for his glorious work. Seen with his pet dog which was a miniature of cuteness with its glossy fur and wagging tail, he says with a smile looking at it “I wouldn’t give you away for anything in the world.” Well what is so special about him that is making my fingers work to bring out this article and making you read it? 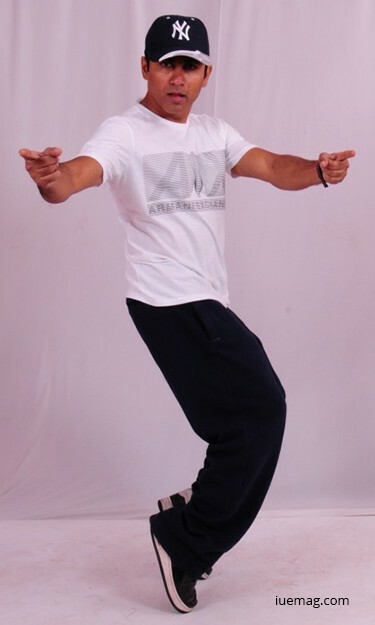 This dog-lover is one of the most zestful dancers in Hyderabad who engraves his high spirited and lively nature on to his students at his establishment named as Steps Dance Academy. What sets Prithviraj apart is his undying love for learning. He has travelled the world to learn and explore the depths of the unplumbed world of dance. In the story of Prithvi, unlike most of the dancers who cherish their childhood dreams, dance made a heroic appearance after a span of time. He reminisces that he was a notorious kid back then and chose to be independent right away after his plus two as an office assistant and was a self-made lad by then. He soon realized that he needs a professional degree to excel in life and that tunneled him into BBA. After graduating from Madras University, he gradually stabilized his career as a sales executive in one of the best firms. Then it was time for a hairpin curve in his fate that brought him to this extraordinary phase of life. He started developing passion for dance and all he wanted to do was tap his feet to the beats of music. Tracing his origin to an artists family with his mom being a Bharatanatyam teacher, never as a child, dance could bind him because the right moment had to arrive. He recollects that despite being taken to the doors of the dance school run by his mom, nobody could actually bring dance to the doors of his heart. But now the only happiness that can reach out to the folds of his inner soul are the leaps of joy that reflect out of a tiring body after those long exuberant stretches of dance. Since then, exciting peregrinations of Prithvi in the dazzling world of dance never came to a halt. Sharing about the era when he laid the first brick of Steps, he says it took him two years before he got something back. Many of my chums discouraged me when I was setting it up as my flow of incomes ceased, but my love for art has kept me going and earnings were secondary. “You need to possess an iron heart in business”, says Prithvi in a firm tone tracing back to the memories of the rough patch in his life during the initial stages of his dance academy. However he has grown to great heights from the ground point with his passion and hard work. He shares that a year ago British Council approached him to organize a show in Hyderabad where he was enlightened about the dance mat. He took it forward with a proposal of his idea to the Telangana government and successfully organized Dance of Warrior, first ever contemporary dance show based on ancient Telangana dance form Perimi Shiva Tandavam. He brought out the modernized version of it carrying the essence of ancient form with the help of his friends from abroad. He had to handle a wide range of multileveled tasks singlehandedly such as arranging the hoarding, managing people and marketing the entire event. “This is when my sales experience came to my help”, says Prithviraj with a smile. It turned out to be a milestone in his life. “NewYork is the heart of dance and going there to learn was my dream. The best moment was when my name was called out at the airport. It happened to be my teacher who travelled all the way for six hours to receive me”. When his dream turned into reality the words to describe his joy were not yet discovered in any language says this dynamic dancer. He says his inspiration has been a diverge category of people and from each one of them he could pick up a unique quality. One thing that stands above all among the qualities that have inspired him and that he had imbibed is the down to earth nature and the art of being modest irrespective of your stature. It’s a rare quality but speaks really loud about a person’s character rather than the ‘wordy person’ who just boasts about himself. “A teacher can never find a student. It is always the student who should find a teacher - as in possess the zeal to learn from him what he offers.” Unlike many people he never prioritizes his students performing at a stage show and sticks to the policy of minimal shows by students. Prithvi is a person who treats dance as a divine art form and as students he wants them to attain perfection and rather apply the various lessons dance can teach you in day to day life. However he insists that dance can be taken up as a career once a certain stage is attained. 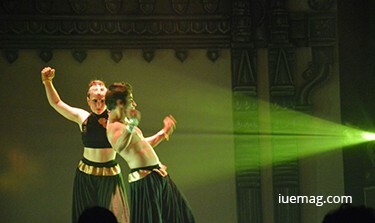 In the present day scenario, dance is an emerging field for sure given the fact that there is immense competition. This strict disciplinarian says that he is a standing example to prove that you can excel in the artistic field with rigorous hard work and sincerity. He urges his students to get exposed to various dance forms under assorted teachers because that is how he feels a dancer can grow and develop his own style. Why am I struck with the conventional society? These are the three questions that Prithviraj wants every individual to raise upon them so as to stand out of the crowd and in fact create a crowd behind you. To prove it, we have his story with us that enriches you with so much of spirits to carry your gusto and determination forward. Any facts, figures or references stated here are made by the author & don't reflect the endorsement of iU at all times unless otherwise drafted by official staff at iU. This article was first published here on 6th July 2016.